A good marriage must be created. In marriage, the little things are the big things. It is never being too old to hold hands. It is remembering to say “I Love You” at the end of each day. It is never going to bed angry. It is speaking words of appreciation and demonstrating gratitude in thoughtful ways. It is having the capacity to forgive and forget. It is giving each other a safe place in which to grow. It is not only marrying the right person, it is being the right partner. Marriage Counseling can help a couple move in a postive direction, wether the couple has been married two, ten, or twenty years. Couples do have disagreements on the simple to the most complex issues. Reality, couples will have disagreements and the disagreements may get rather heated. However, this doesn’t mean the couple doesn’t love each other. Hurtful and Heated arguing indicates a lack of skills and a lack of connection. Basically, the couple is not emotional connected. Marriage Counseling can help a couple develop skills to sustain a strong and healthy marriage. Counseling can help a couple achieve the ideal marriage by identifying barriers and triggers. Couples will learn healthy boundaries, communication skills, and the art of compromise. Couples will gain a deeper understanding of each other as they grow closer. 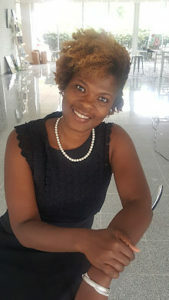 Peachtree City, GA counselor Rosonja Seay, EdS., LPC, offers a free initial phone consult at 678-552-2689 to discuss how her marriage counseling and couples therapy services may benefit you.